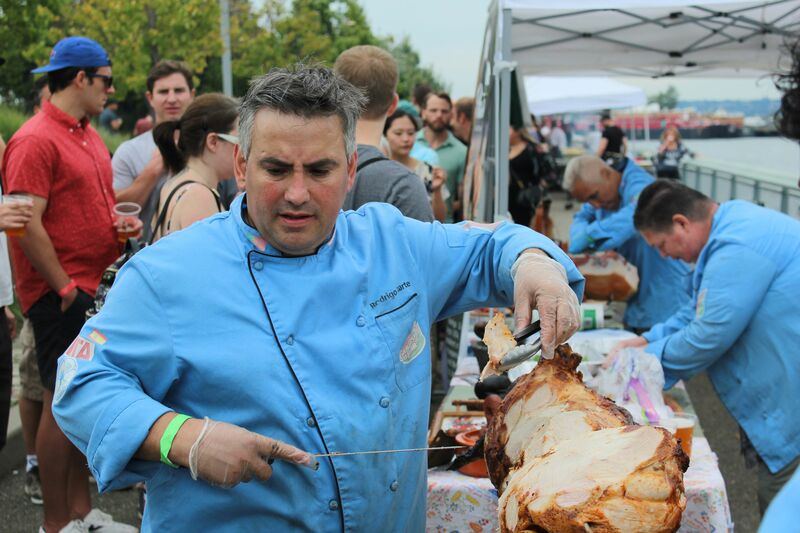 The month of September marks the return of a great many things – the change from summer to autumn, the dawning of another football season, the return of classic television programs – and for the 9th Annual Pig Island event, the crowning of the King of Swine. 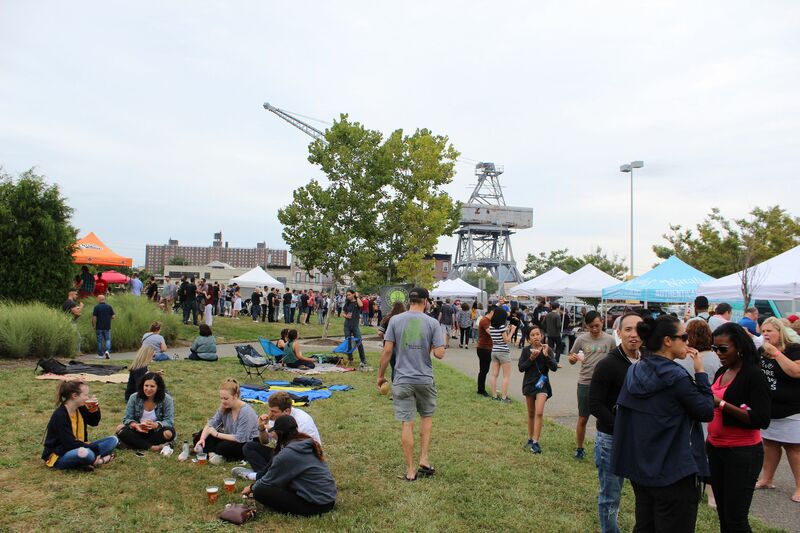 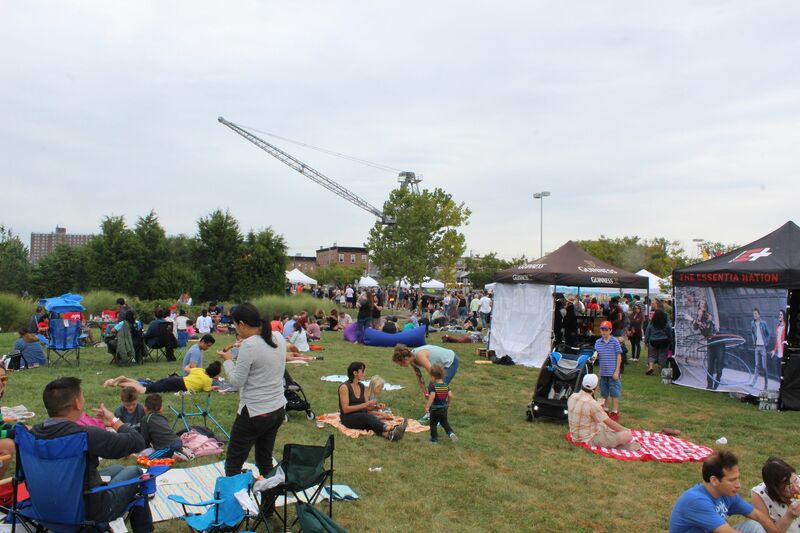 Hundreds of thirsty eventgoers packed Erie Basin Park in Red Hook Brooklyn on a recent Saturday afternoon, adjacent to both Ikea and the iconic neighborhood Ballfields. 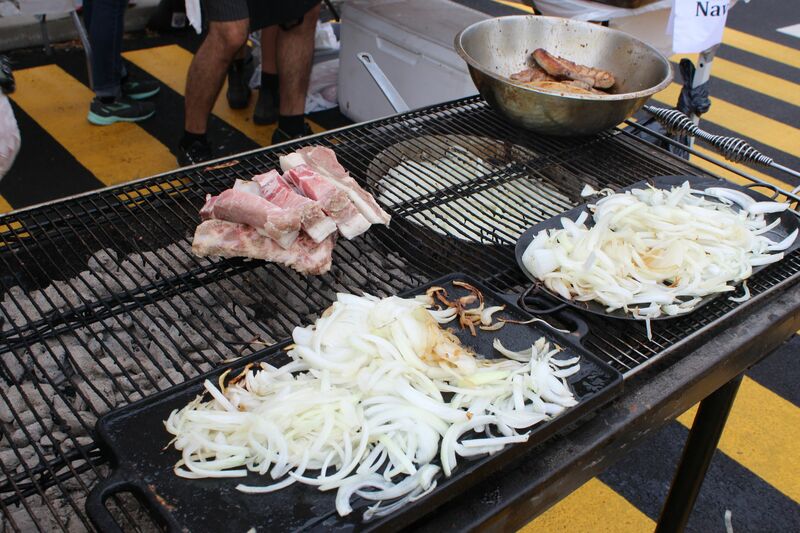 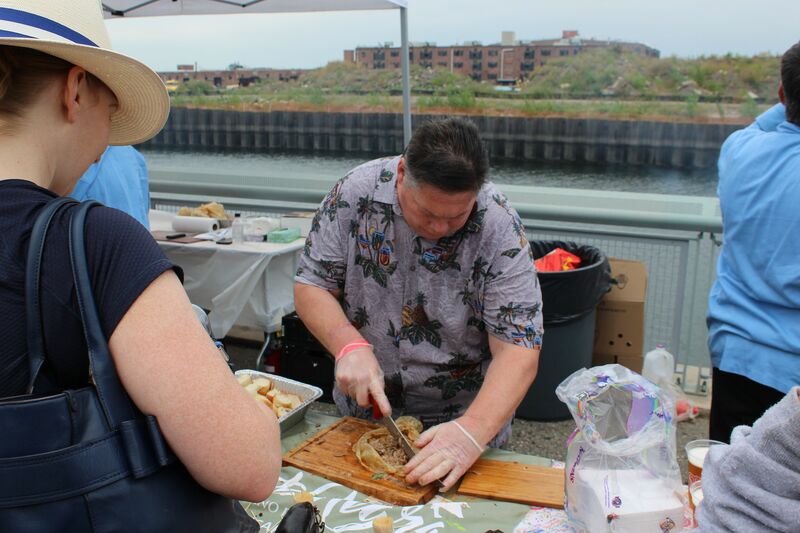 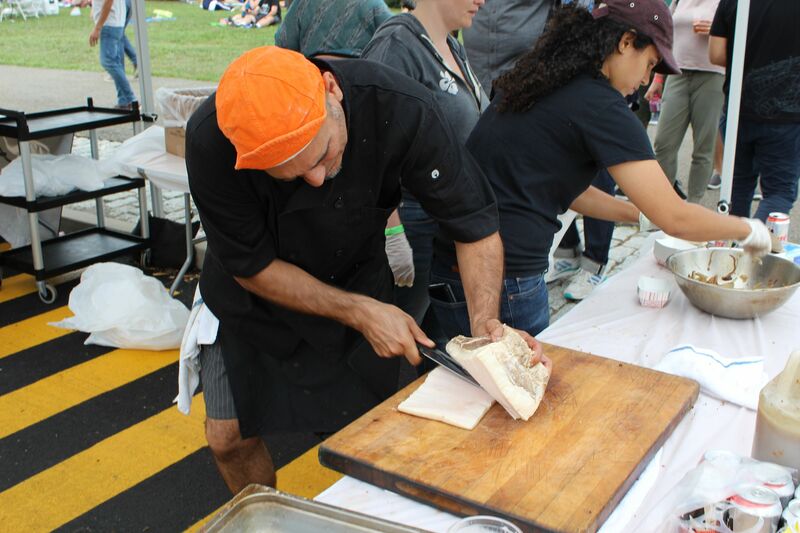 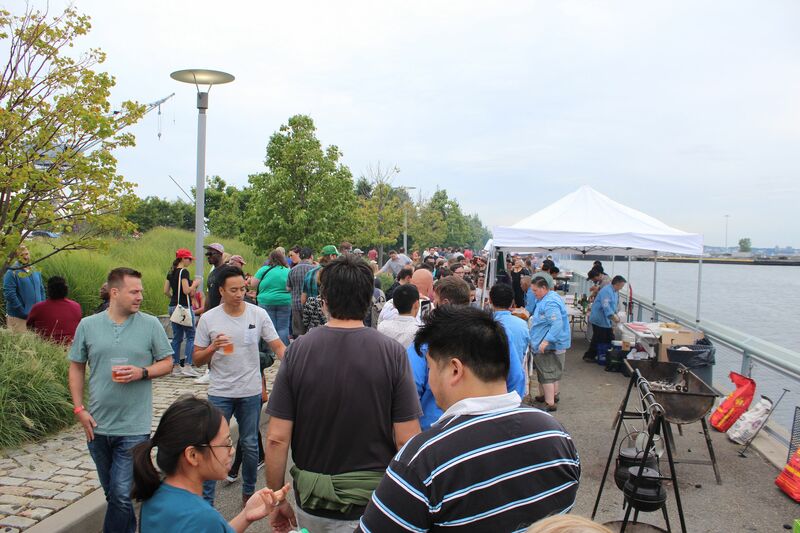 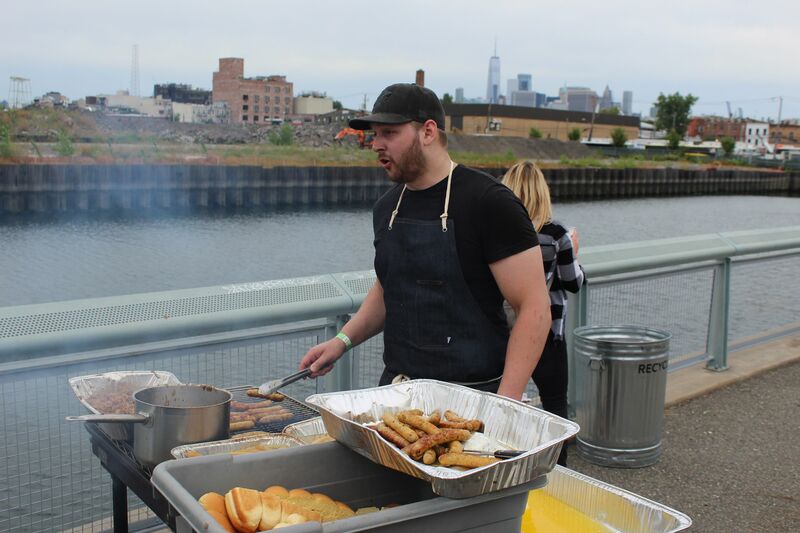 Despite the threat of overcast weather and some clouds, the afternoon boasted a collection of outstanding chefs, tasty suds and live music to appease each of the swarm of attending guests’ five senses. 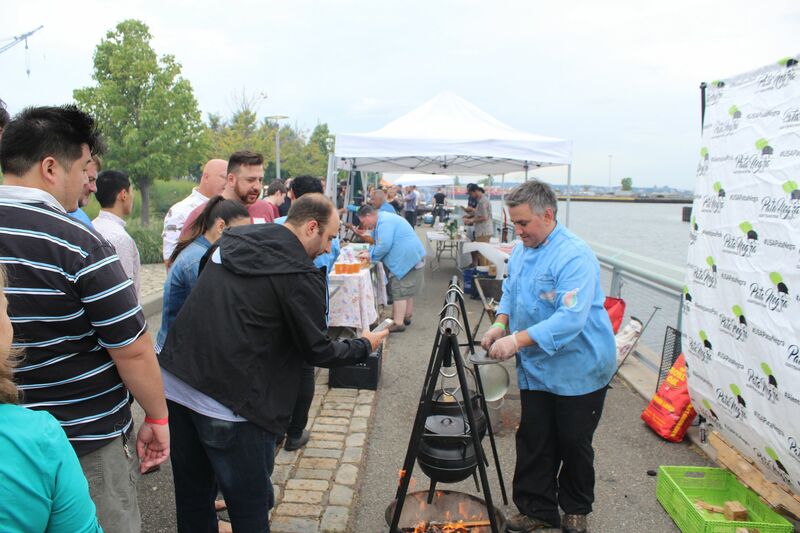 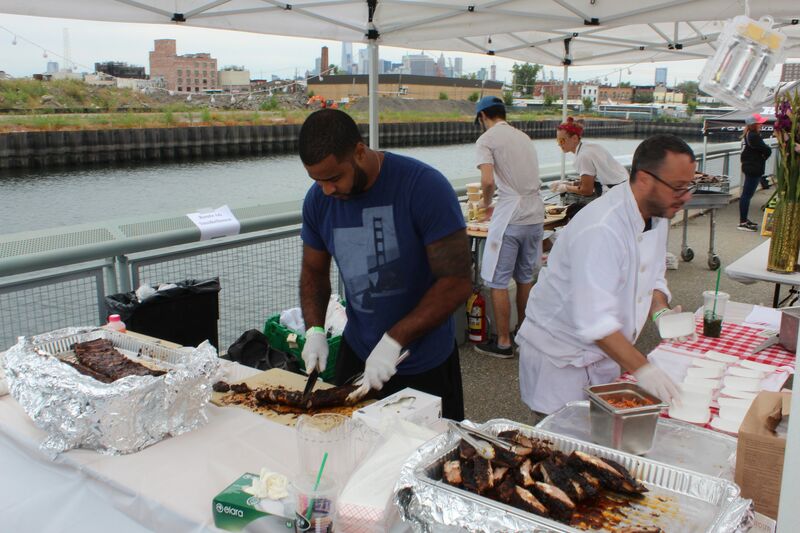 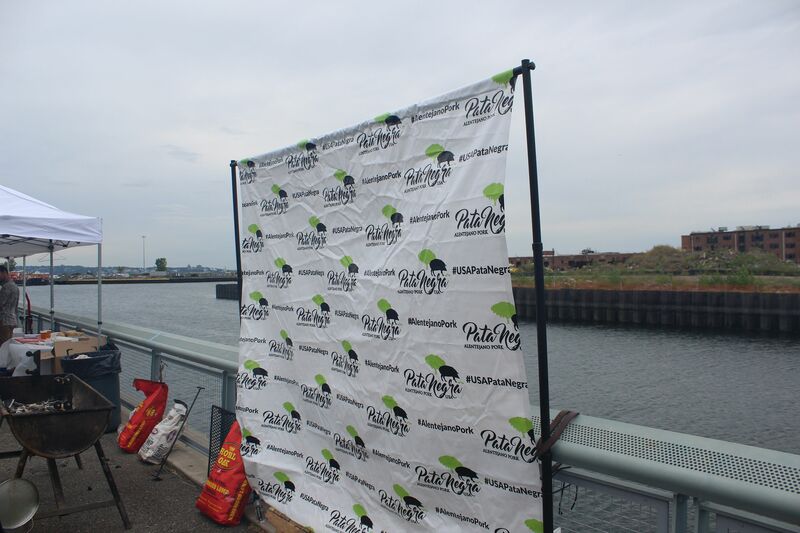 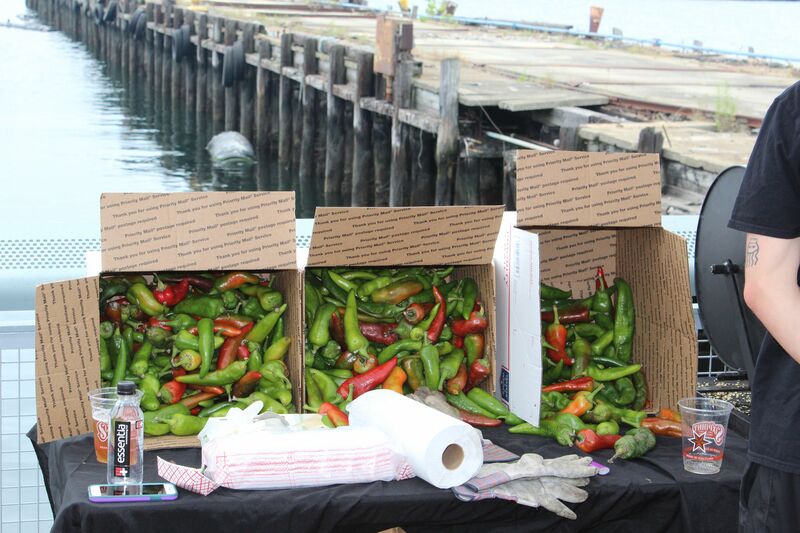 With hints of deliciously cooked pork in the air, we drifted our way to the waterfront setting to once again be a part of the Brooklyn magic. 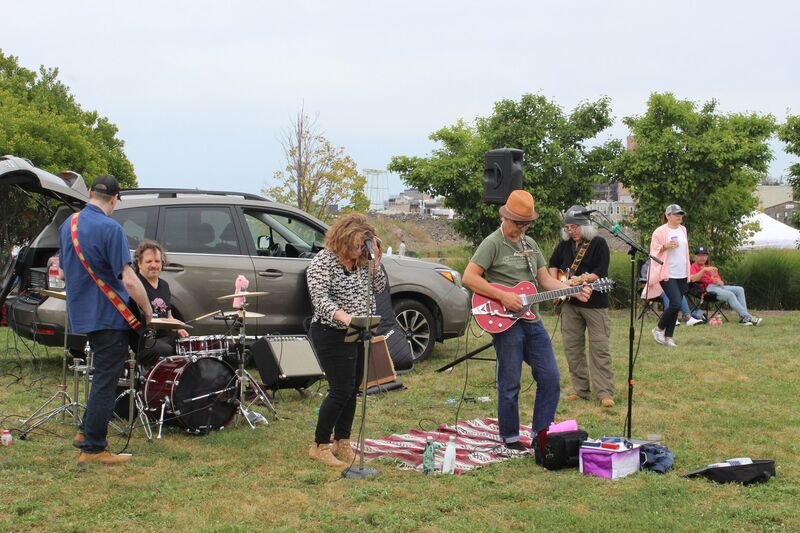 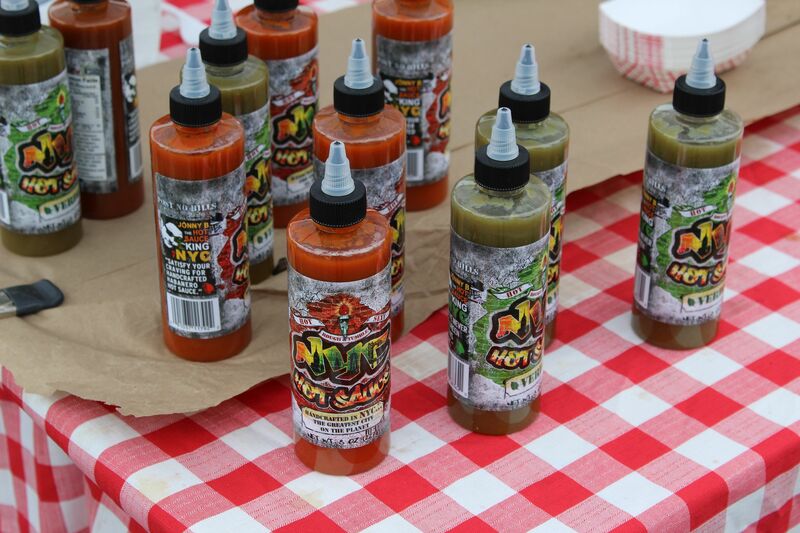 The over five hour affair would attract full families, groups of young folks and even aging-yet-festive revelers to the sprawling outdoor space, where tunes courtesy of Dusty Wright & The Bush Hogs would fill the already swine-fueled atmosphere. 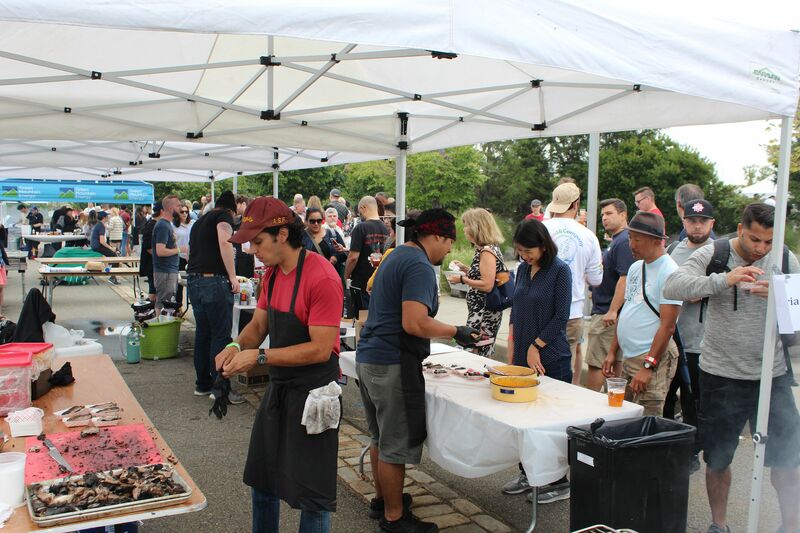 Backed by beers from Sixpoint and Guinness and more than a handful of cider options, there would be no shortage of delicious pours to wash down much of the salty goodness being sliced, prepped and plated on site. 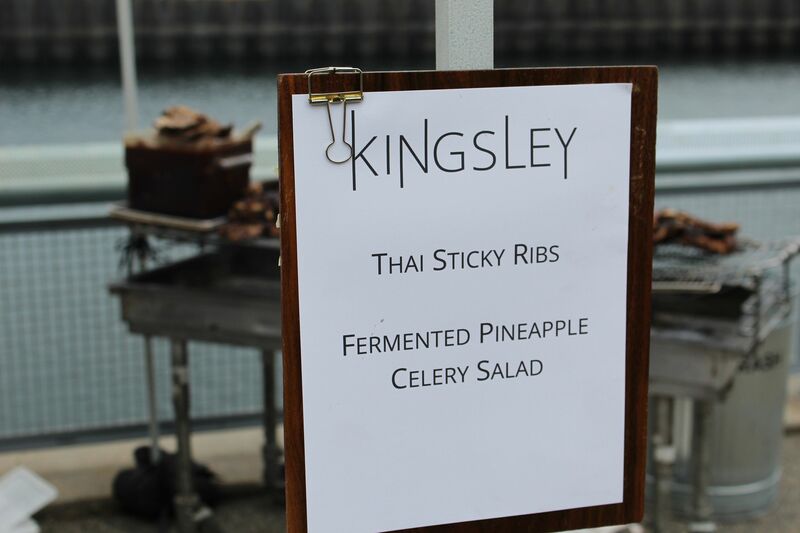 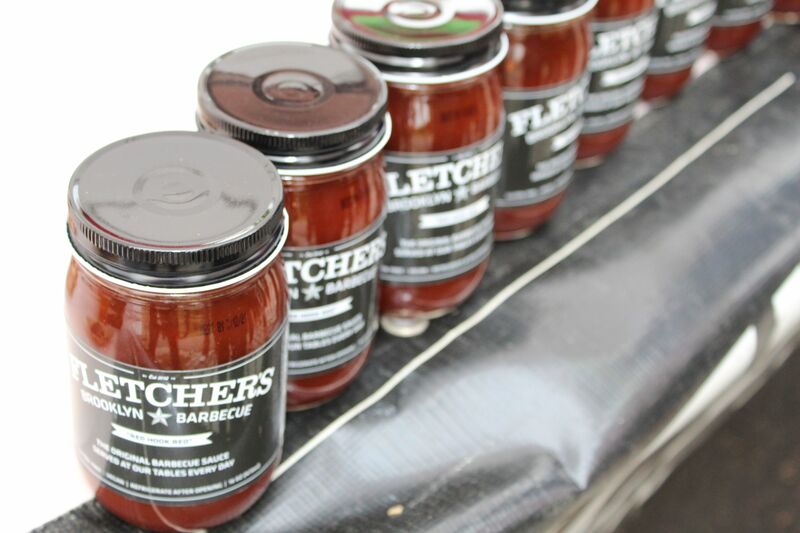 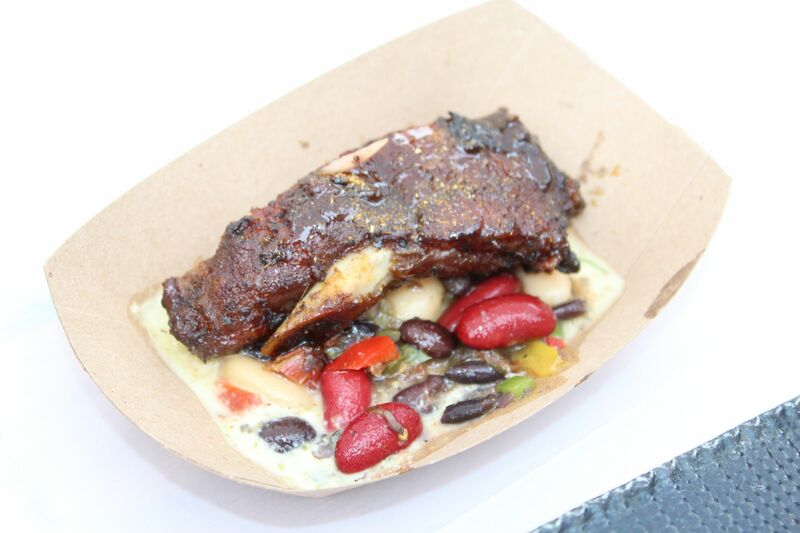 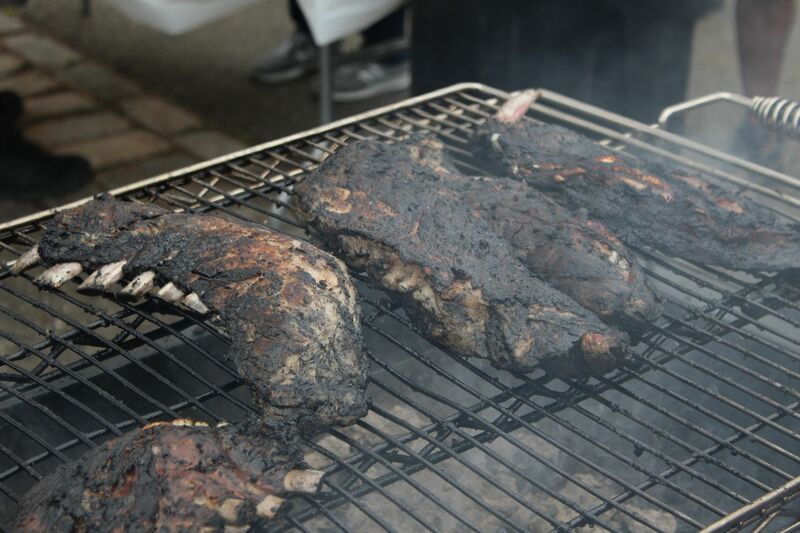 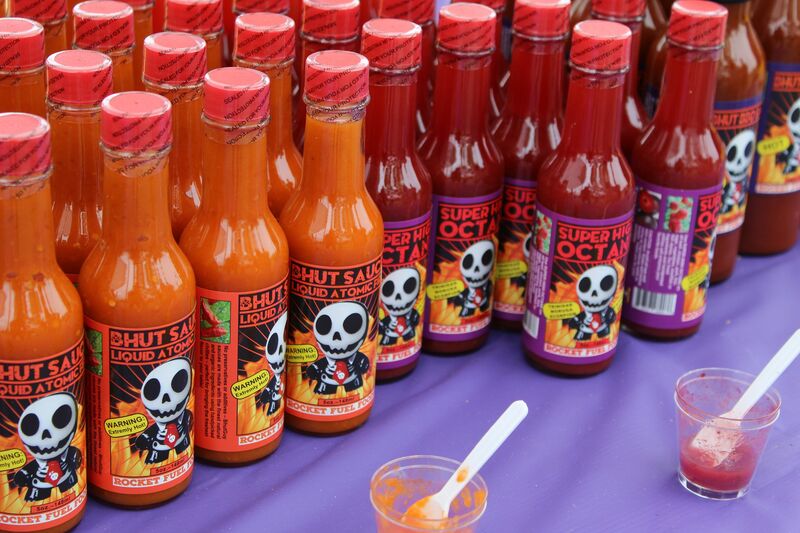 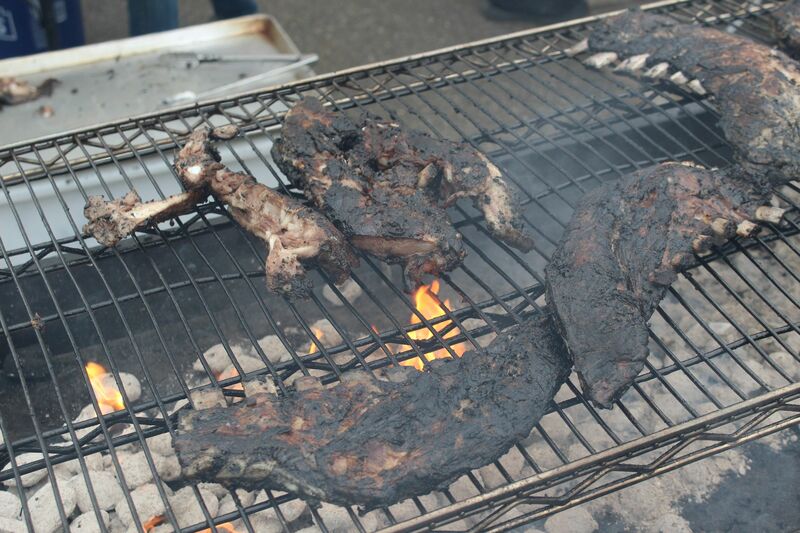 Local New York City Chefs like Roxanne Spruance (The Kingsley – fall off the bone ‘Thai Sticky Ribs’) would be paired near pitmasters like Robert Cho (Kimchi Smoke) and Bill Cooper (Route 66 Smokehouse – ‘Ribs with Pineapple Guajillo Sauce’) to serve some of the day’s finest fare. 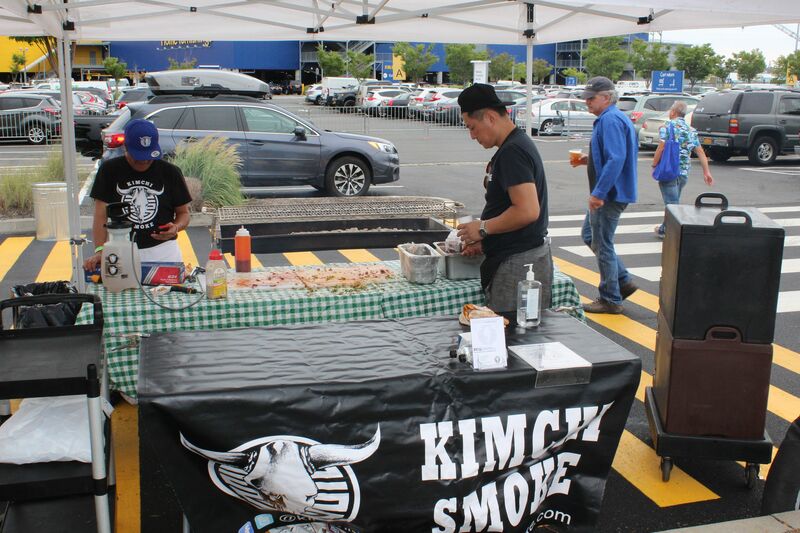 After schmoozing with some participating firefighters and local Brooklyn police officers, we dug our forks into some of the more supreme treats of the day – Newark, New Jersey’s Rodrigo Duarte’s ‘Ribs in a Bladder’ were slow-cooked inside of a pig bladder, saturated by cumin and cloves, garlic and lemon juice, before being served beneath a chilled orange slice, atop a Portuguese roll. 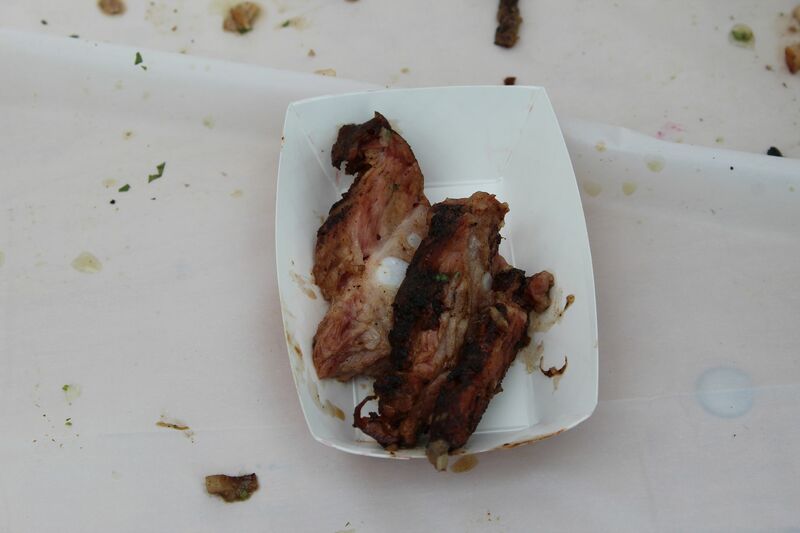 The results, predictably, were otherworldly. 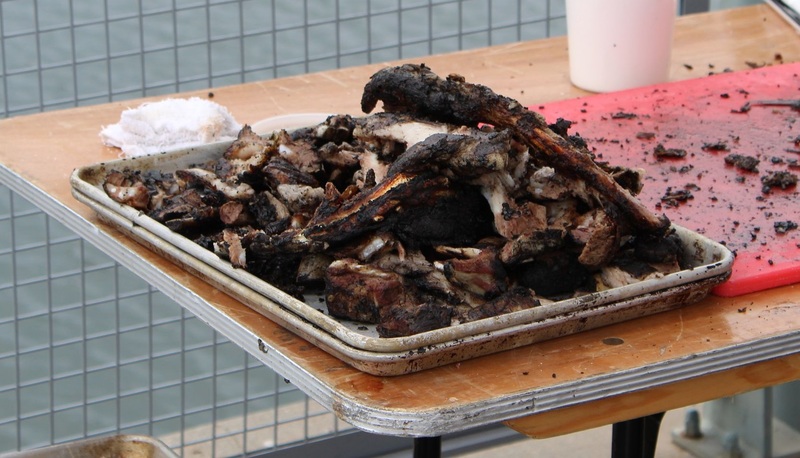 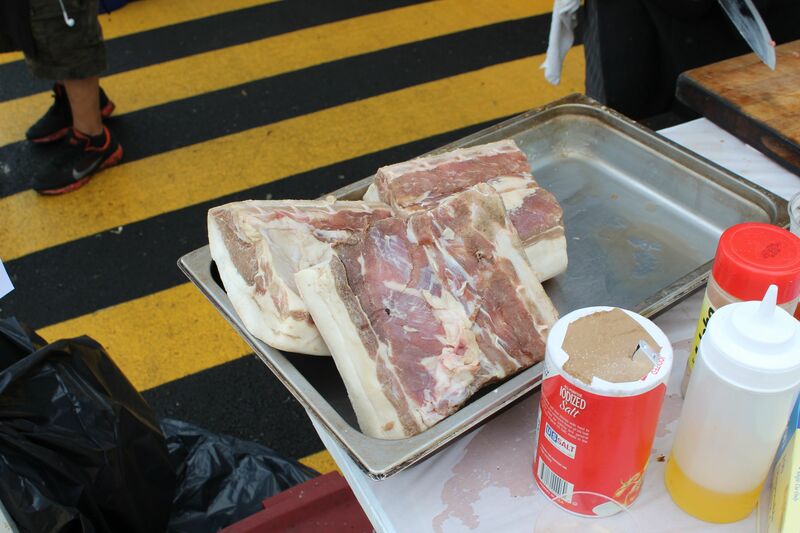 And speaking of exceptional, our favorite dish of the day would also be crowned Best In Show, as Chef Jesse Jones’ ‘Whole Hog Pulled Pork’ was served atop an incredible cornmeal pancake in a marriage of sweet, sticky and salty that was unmatched during our afternoon travels. 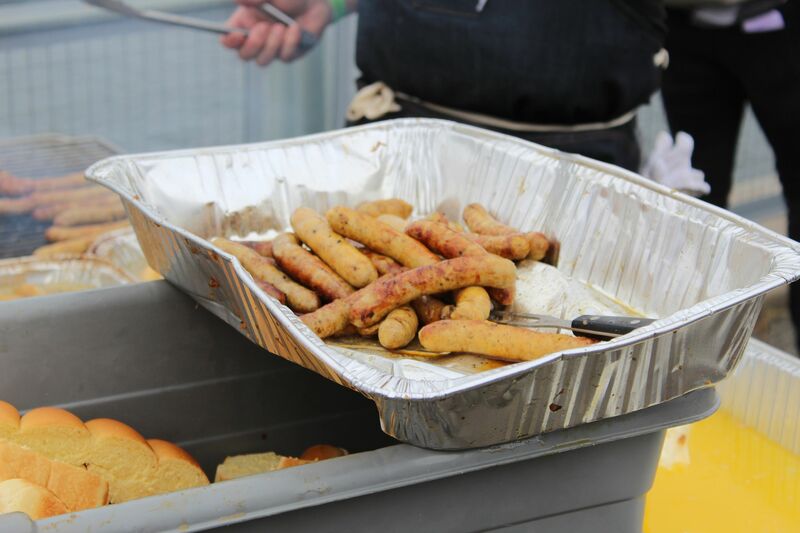 From succulent ribs to lip-smacking sausages, peruse through our photo gallery above to get a feel for all of the day’s action. 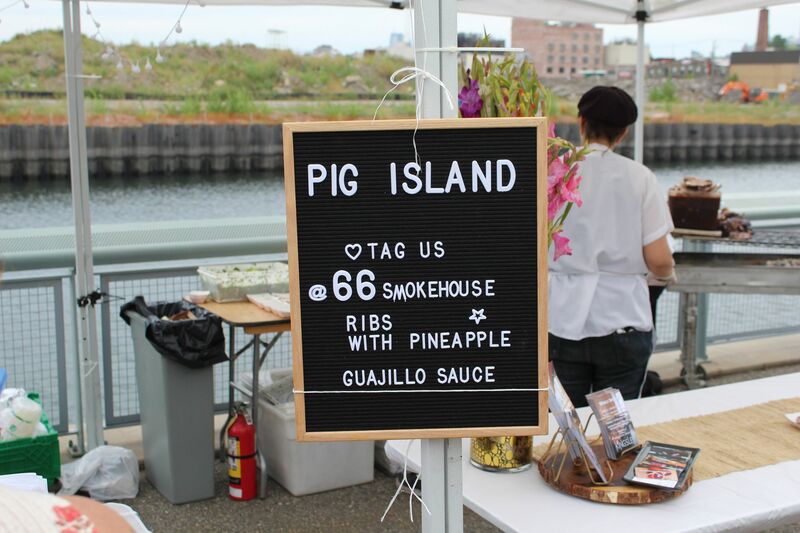 And if that’s not enough, take some time and dig into our archives for our coverage from past Pig Island events. 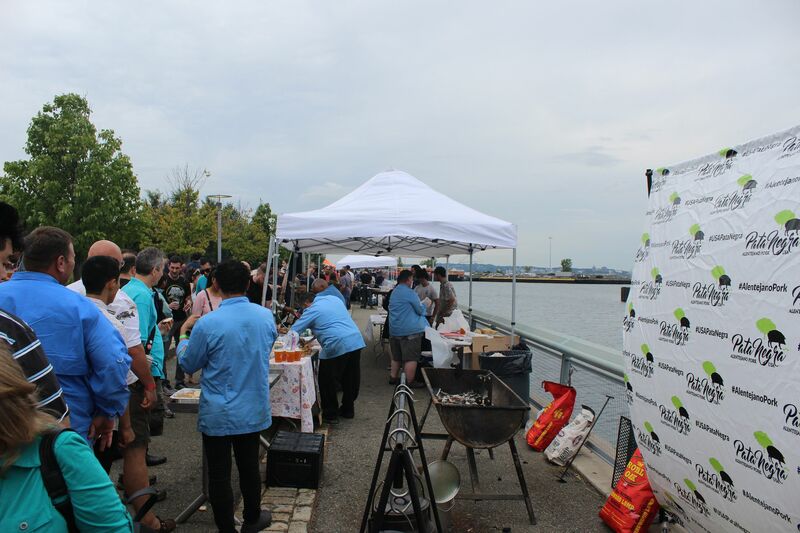 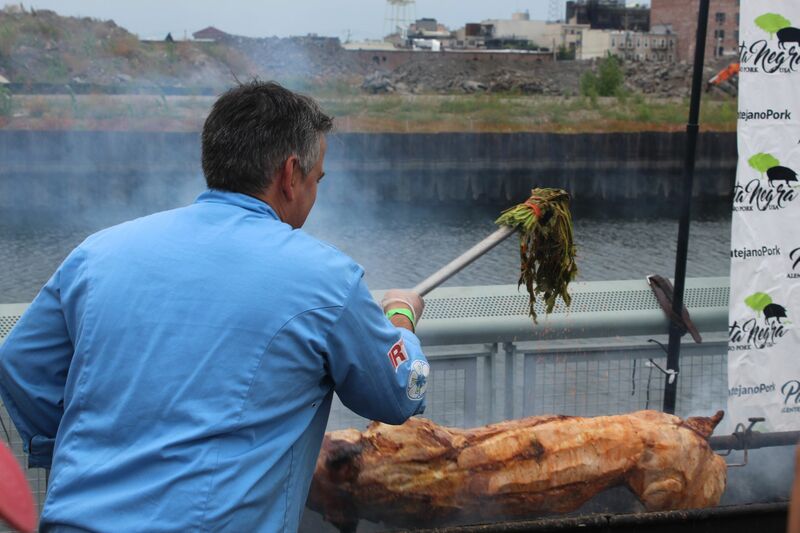 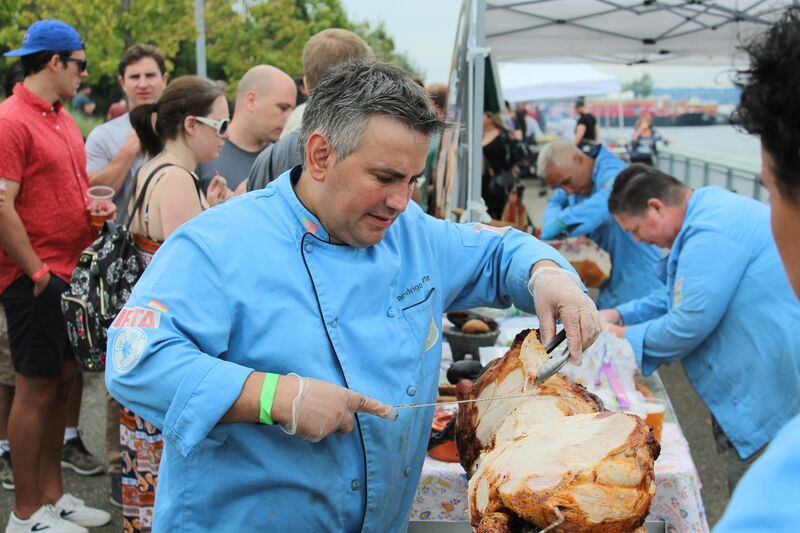 The feel-good vibes, waterfront setting and delectable hog dishes make the annual affair one of our most highly anticipated events each and every September.